//Indiewire: "Szostakiwskyj's horror movie is a solid addition to the movie tradition of arctic thrillers." 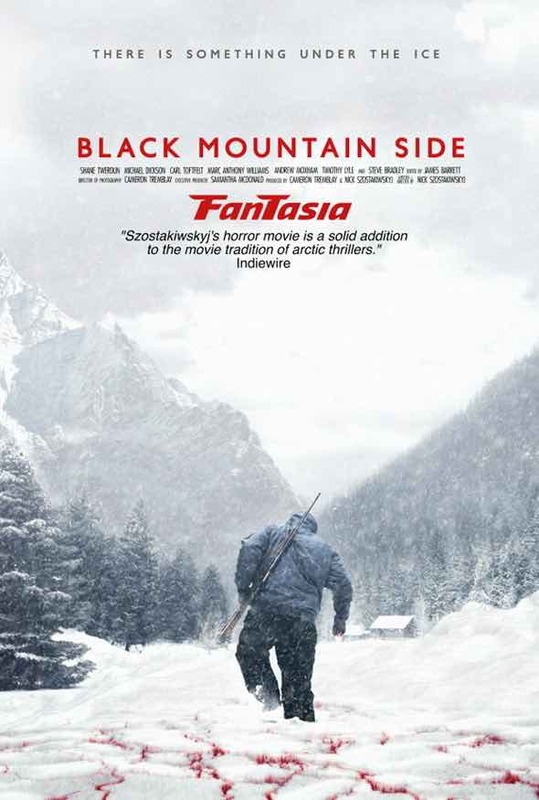 //Dread Central: "The creepiness factor jumps right off of the scale"
//Ain't It Cool News: "BLACK MOUNTAIN SIDE is expertly made and gorgeous to look at"
//Cult Montreal (Fantasia): "The best horror film of the festival was BLACK MOUNTAIN SIDE." //Film School Rejects: "It is a beautifully-shot, creepy love letter to John Carpenter’s THE THING"
//Rouge Cinema: "...the tension is at times almost unbearable"
“Black Mountain Side” follows a group of archaeologists, after they uncover a stone structure in the snow, engraved with indecipherable archaic writings and symbols. Releasing an ancient virus, an illness begins to spread through the crew members and they are encouraged to violence, by visions of a mysterious figure.